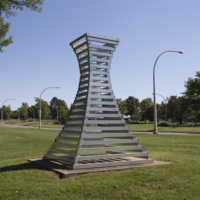 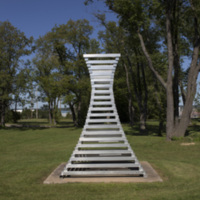 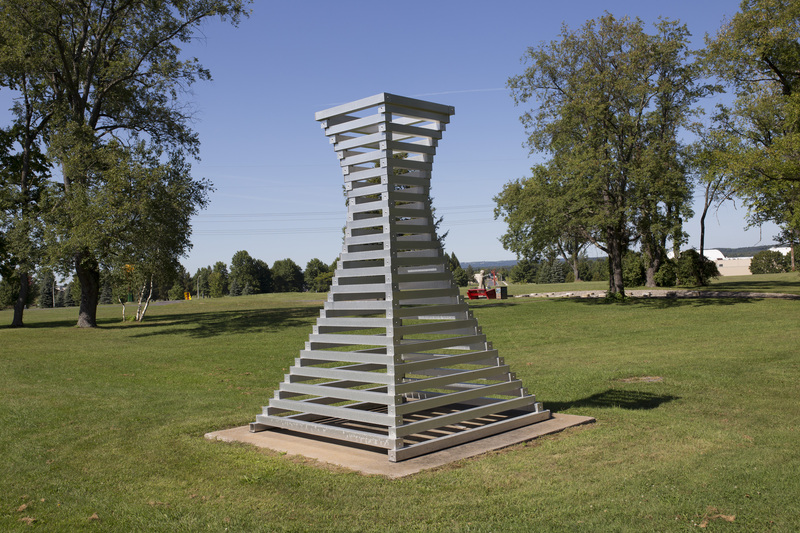 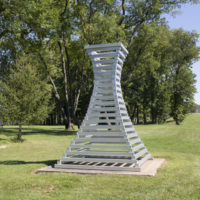 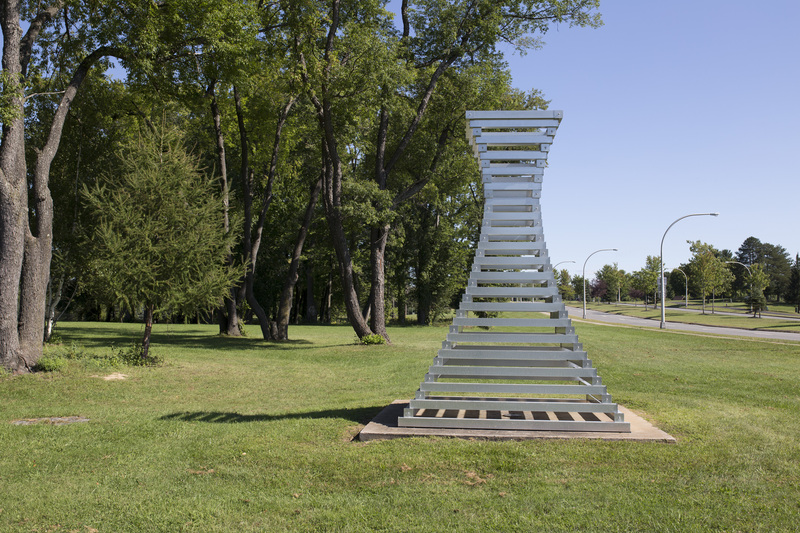 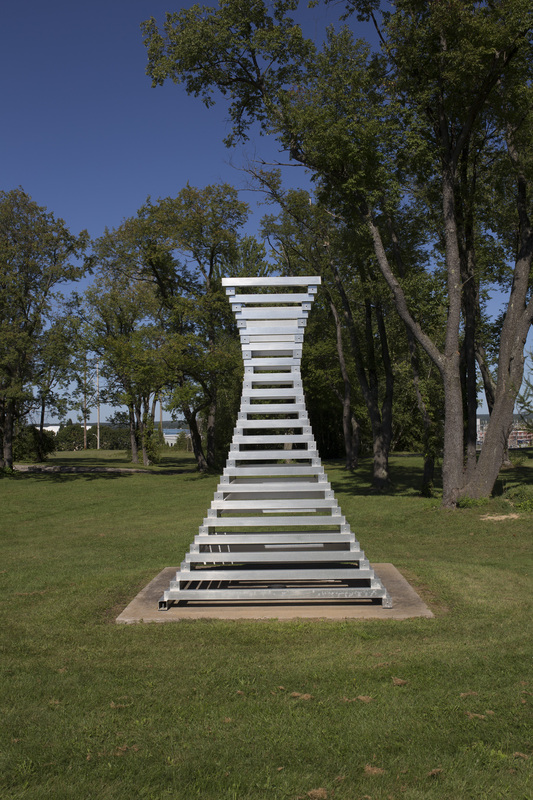 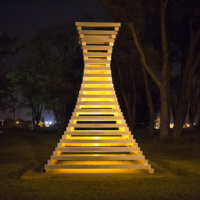 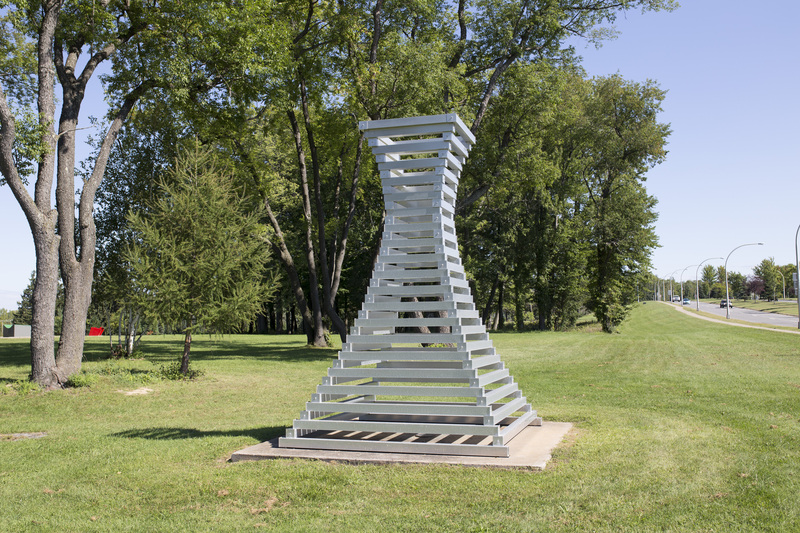 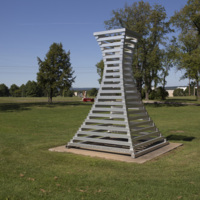 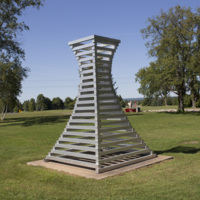 Tomasz Domanski, “Chimney,” Art Oneida, accessed April 20, 2019, http://artoneida.org/art/items/show/136. 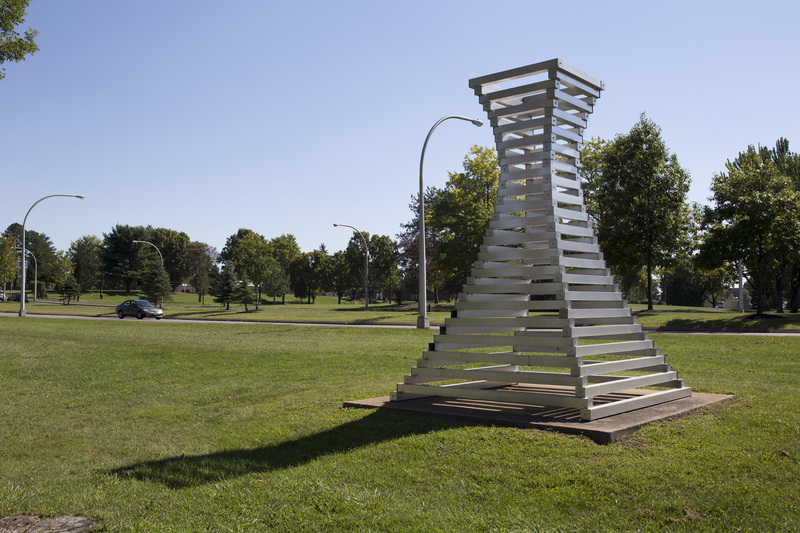 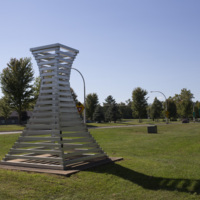 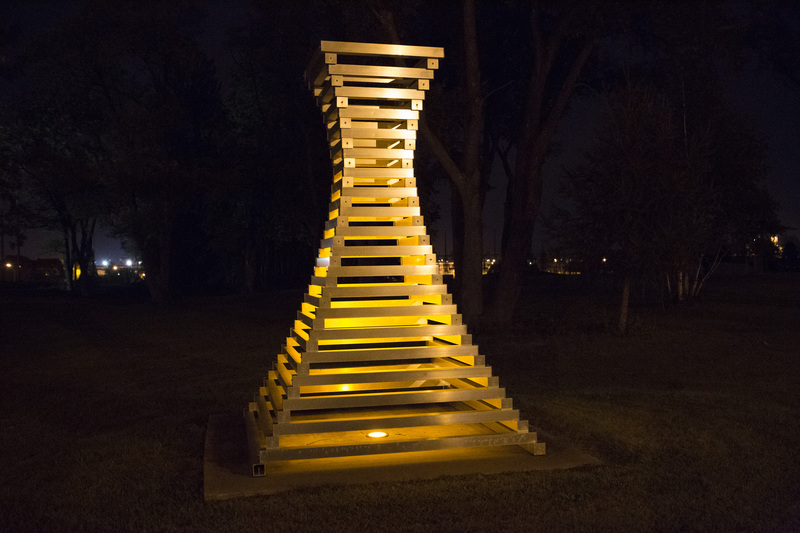 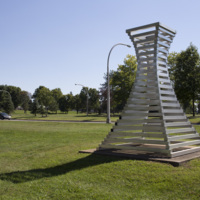 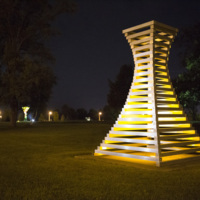 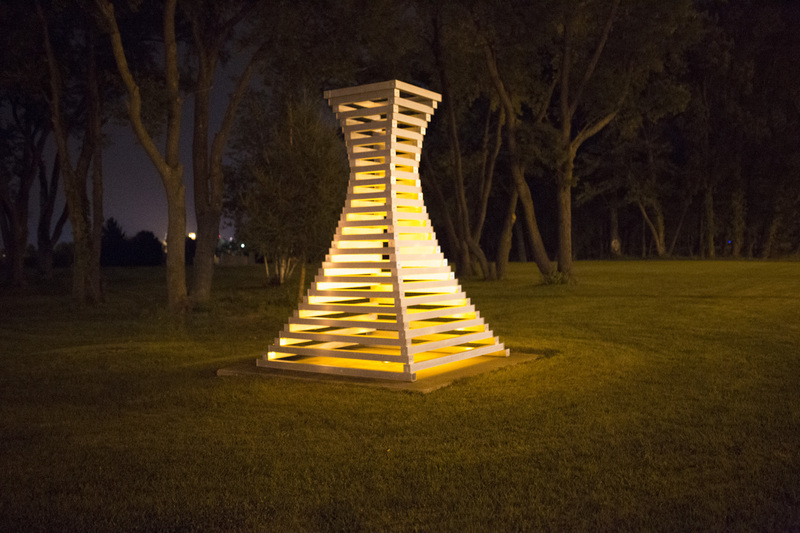 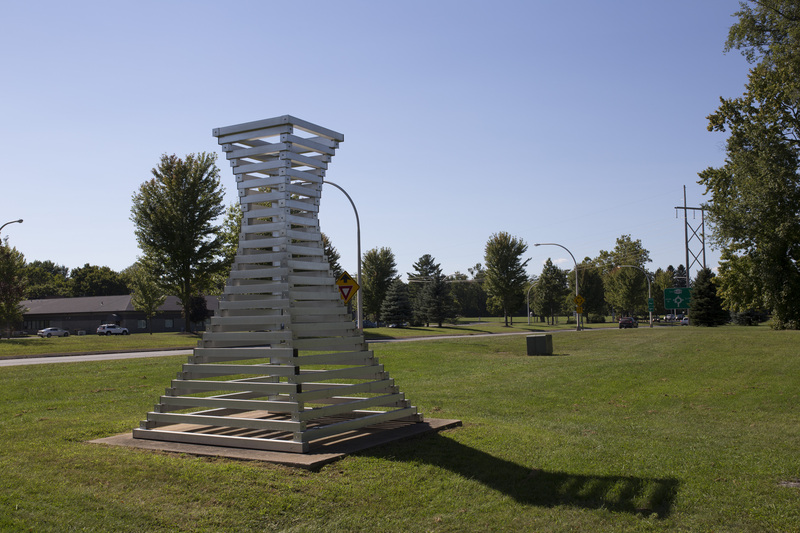 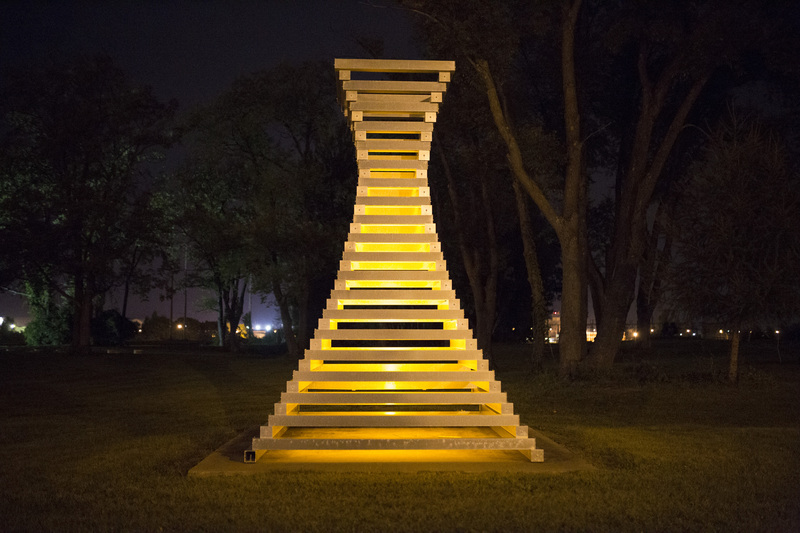 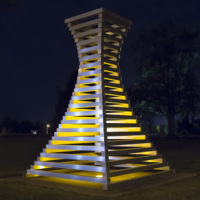 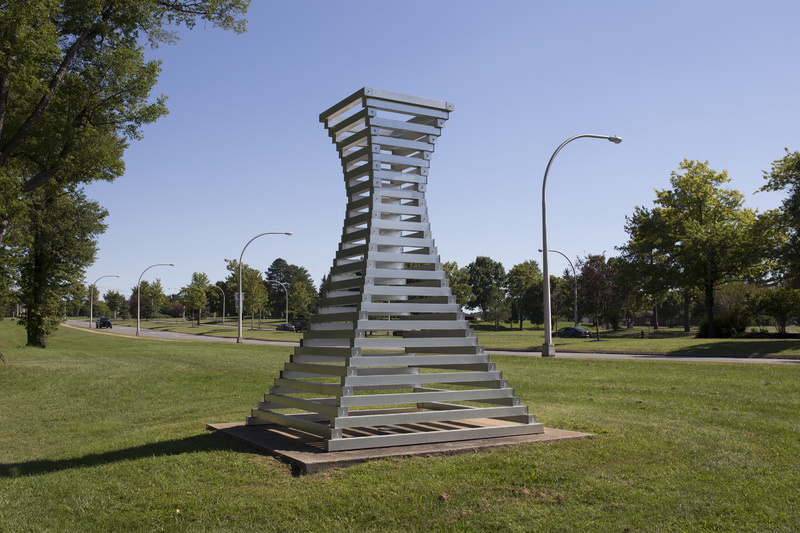 Description: From the Griffiss Sculpture Park website: "In its construction, Chimney combines two worlds: the world of business and industry and the world of creativity. 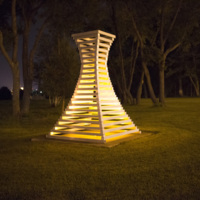 Straight lines, edges, and right angles have been softened in a gently undulating curved design. 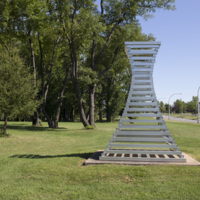 Moreover, the sculpture has two entirely different visages: one belonging to day, and the other to the night. 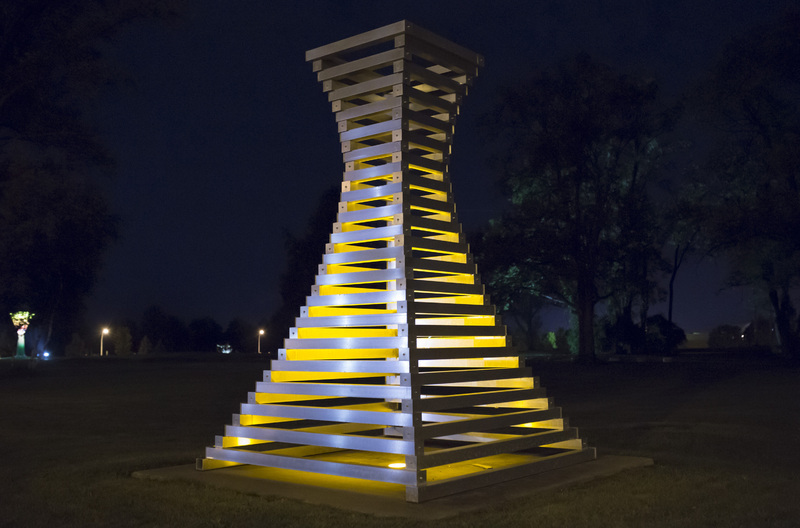 During the day, the light of the sun reflects off the polished aluminum to produce a brilliant glare, and at night the amber lamp inside that casts its glow in the dark produces a very different effect. 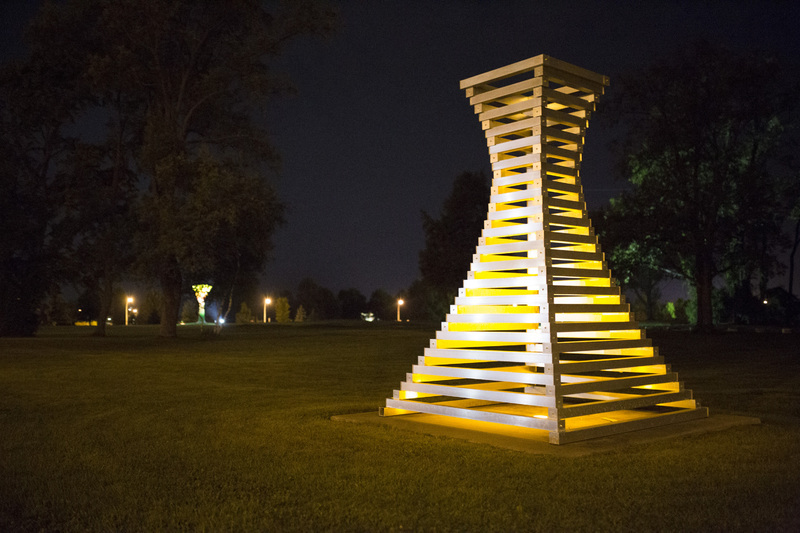 The artist hopes he has captured the spirit of collaboration between business and art that the Griffiss Business Park project embodies. 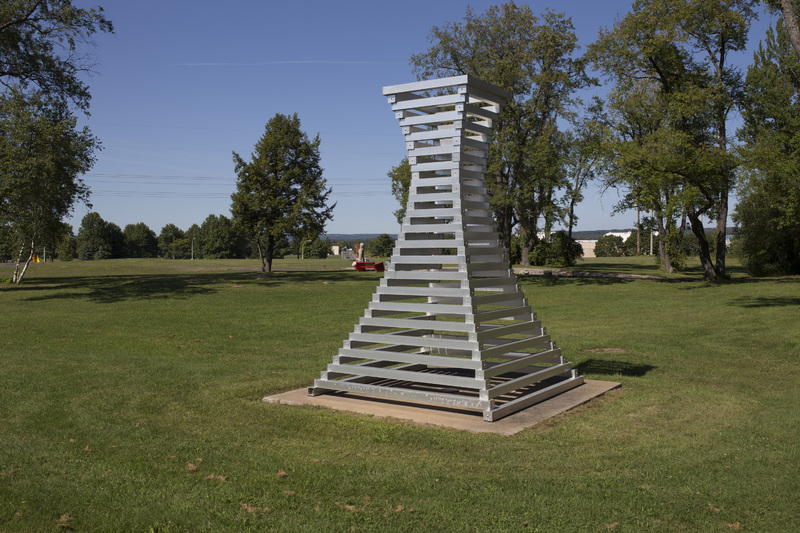 Domanski feels that by providing an opportunity for the presentation of contemporary art, Griffiss Business Park is itself a beacon. 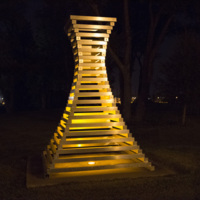 It is a model of the mutual benefits that industry and the arts can realize in their coexistence."